Al-Ahli Bank announced on Sunday the signing of an agreement with the International Finance Corporation concerning the bank’s accession to the World Trade Finance Program through which the Corporation will guarantee the bank 10 billion dollars against letters of guarantee executed by the Iraqi bank to its customers. The agreement is an important “starting point” for the bank. 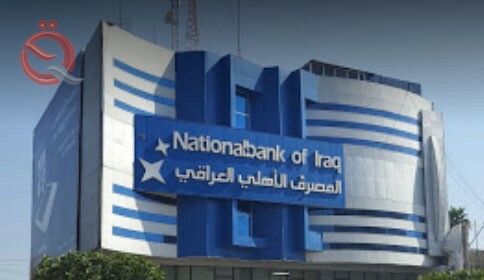 Al-Salem said that “the bank obtained the first place in the exploitation of the initiative of the Central Bank related to the financing of small and medium enterprises and occupies the second place among the private banks in the project to settle the salaries of employees,” noting that “the Central Bank hailed the bank’s development of the banking sector and the Iraqi economy “He said. “The signing of the agreement is an important starting point for the bank to develop and move towards the networking of international relations and the stabilization of its position and foreign relations, as it is an important and vital issue in the banking sector,” said the governor of the Central Bank, pointing out that “the banking sector without a real arm And extensive external relations can not be able to progress and development and the completion of many services and products. He added that the banking sector in Iraq has begun to be of importance to international institutions, as well as expressing the opposite of confidence in dealing with the issue.